Well, this is a very special week for one of our Big Break X Michigan ladies. Andrea VanderLende has made it to the Q school finals and is competing with other former Big Breakers for their 2009 LPGA cards. I always feel a bit desperate for these young women as they fight so hard for so few spots. It is a tough road for them on the Duramed FUTURES Tour and other mini tours like the Cactus Tour. I remember interviewing Christina Lecuyer and Susan Choi from Big Break Ka’anapali and hearing them talk about how hard it is to find sponsors. And without sponsors, every week is a struggle to get enough money to compete in the next event. It’s really sad because many very talented ladies give up their dream before they’ve really had a chance to make it come true. Remember Elizabeth Stuart saying she thought she might have to give up golf because she just couldn’t afford it anymore? I am so glad to see her in the field this week. But there’s a reason why Liz is there…it’s because of people like Dave Andrews. Andrews is a Harvard-educated former television news reporter who became a fan of the Duramed Futures Tour after watching and meeting some of these determined and talented women. He wrote a book about the tour (Pops and Sunshine) – a fictional account of a young woman’s struggles to succeed “against all odds”. Proceeds from the sale of his book go to the women who inspired it – the Duramed ladies. Now how cool is that! I read Pops and Sunshine this summer and thoroughly enjoyed it. Although I’m not a big fan of “love stories”, and this book was promoted as a love story, I had read on Golf For Women that it was worth reading so I gave it a try. It had me laughing and crying at the same time. It’s a story of a young girl who has only one more chance to make it in golf. Facing severe hardships at home after the loss of her father and carrying a burden of responsibility no child should have to bear, Lisa Nelson enters what could be her final professional golf game ever. She either wins or she goes home, never to return to the links again. The book is very easy to read and I highly recommend it for anyone who loves golf and wants to get an inside peak at what it’s like on the FUTURES tour. Although it’s fictional, Andrews really knows the tour well and provides a lot of detail on how it works. The relationship between Lisa and new found sweetheart, Robbie, is a step beyond teenage puppy love, but still innocent in many ways. It’s something a young woman would really relate too, but it’s not the reason you should read this book. 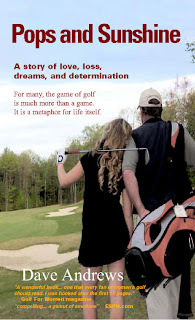 What makes the story special is the relationship between Lisa and a 50+ year old, 8-handicapper, Dave Johnston – a man who lost his wife and teenage daughter four years earlier in a car crash and has never recovered emotionally. Nelson and Johnston are thrown together in a way that might seem a bit unbelievable, but hey…this is a fairy tale – go with it! Although both “damaged goods”, together they make a formidable team and it is interesting to watch their relationship develop over the week of the event – kind of chokes you up actually. I really enjoyed the book and so did my husband, who snuck it off my night table when I wasn’t watching. It’s one of those books that you want to share – a feel good book. Today, Dave Andrews is on to something even more special. He’s started up a new non-profit foundation to help out players on the Duramed FUTURES Tour. It’s called Future Stars Foundation. Its first fundraising event will be a pro-am next February 21st outside Orlando. 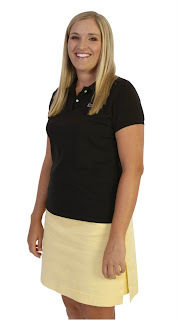 Andrea VanderLende will be playing along with 24 other Duramed FUTURE Tour pros and 75 amateurs. I sure hope it raises a lot of money for these golfgals. Dave’s off to Q School this week to cover the event and will be posting articles on CyberGolf so bookmark that site and check back there starting on Wed. Meanwhile you can keep track of how all the Big Break Ladies are doing on the LPGA site. And don’t forget to order Pops and Sunshine for someone you love at Xmas. 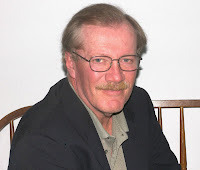 Here are the details: “Pops and Sunshine,” by Dave Andrews, ISBN 978-0-615-18706-8, self-published, available at 8 Tow Path Lane, Concord, NH, 03301.